Use package sealing tape to secure your packages. 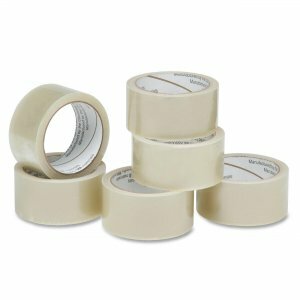 Clear tape is made of polypropylene with an acrylic film backing. Tape core is made using 100 percent post-consumer material. Packaging is made from 100 percent recycled content.